The crisis of the European Union begs for new, unifying and constructive narratives – alternatives to the right-wing populist and nationalist wave getting fiercer every day. A commons approach holds the potential for a unified vision towards an alternative economy, a Europe from the bottom up and an ecological economy and way of life. The idea of jointly stewarding shared resources, community and a generative economy, can find resonance with a diverse range of citizens. Sophie Bloemen and Nicole Leonard: A relentless focus on markets and growth has blinded us for the loss of social cohesion, rampant inequality and the destruction of the environment. In the perceived need to quantify everything, gross domestic product is used as a measure of social wealth. The commodification of our common resources and even our online behavior can seem limitless. Yet major fault lines are starting to appear in this dominant worldview based on individualism, private ownership and an extractive relationship with nature. A novel outlook based on networks, access and sustainability is emerging, where citizens are actively co creating their environment. The Commons perspective captures the change in perception regarding needs and priorities. ‘Commons’ refer to shared resources and frameworks for social relationships that are managed by a community. ‘Commons’ also stand for a worldview and ethical perspective favouring stewardship, reciprocity and social and ecological sustainability. This outlook defines well-being and social wealth not just with narrow economic criteria like gross domestic product or companies’ success. Instead it looks to a richer, more qualitative set of criteria that are not easily measured – including moral legitimacy, social consensus and participation, equity, resilience and social cohesion. Commons are not primarily a political theory but first and foremost a practice emerging from the bottom up. Everywhere people are engaged in alternative practices as part of the struggle for ecological, social and cultural transition within their communities. All over Europe local initiatives are taking care of their direct environment, sharing and stewarding knowledge online, and claiming natural resources as our commons. These include, for instance, community wifi structures providing internet access in remote areas, co-housing initiatives ensuring affordable housing, community land trusts that explore collective forms of property, or urban commons initiatives regenerating the city for its citizens. The digital knowledge commons are a key element of an alternative economy, and online commons projects have been able to attain an impressive scale. Creative commons licenses for cultural works, for example, are now over one billion. In all these areas, the commons approach offers a new vocabulary for collective action and social justice, as well as processes for communities to govern resources themselves. So if commoning communities abound and cultural change is underway, what is stopping the commons from creating an alternative society? Perhaps commoners’ strengths – their localised, bottom-up stewardship of resources and strong community-oriented relationships – are also obstacles. How do we move from a loose network of atomised, emancipatory commoning initiatives to a strong network that can challenge the dominant, bankrupt worldview of individualism and economic growth at any cost? Until now, European civil society, the NGOs and social justice networks, have not been able to unite around a broad shared agenda. Hundreds of organisations did unite in the fight against TTIP. However, in order to make progress towards another, fairer and ecological economy and society, a movement cannot be solely reactionary – it has to set the agenda and provide positive alternatives. The emerging radical democratic initiatives that propose alternatives have mostly engaged at a national or local level. Examples are 15M in Spain, Nuit Debout in France or the University occupation in Amsterdam. The Occupy movement was trans-local, but did not succeed in genuinely opening up the conversation in Europe. Municipalism, such as in Barcelona is creating real change on the ground, providing an inspiration for cities not only in Europe but worldwide. Local struggles, forward-looking and emancipatory projects have to be connected in order to truly change the current order. The fact is that a great deal of the laws and developments that shape our societies come from the European level and global markets. There has to be trans-local and transnational solidarity around a shared vision of an alternative society. The European Commons Assembly is an effort in providing a platform for these connections and trans-local solidarity. The European Commons Assembly that took place in Brussels in November 2016 has been a case in point for the unifying potential of the commons, and a symbol of maturity of the commons movement. A myriad of over 150 commoners, activists and social innovators from different corners of Europe came to Brussels for three days to develop new synergies, express solidarity and to discuss European politics as well as policy proposals. In the European Parliament, Members of Parliament exchanged views with this “Commons Assembly” and the political energy generated by bringing all these people together in this context was exceptional. The ECA continues today as a political process and diverse platform, open to anyone who shares its values and wants to contribute. ECA explores what strategies to engage in order to nourish, protect, and extend the commons. How to develop the outward channels to affect political change, while taking care to maintain and strengthen its communities? How to build broader coalitions on the ground not bound to the left or the right, how to prevent erecting barriers with academic language and theory? Since Brussels, the ECA has published a series of videos on commons topics, articles and generally aimed to visibilise the unifying potential of the commons narrative. Members also examined the intersections of the commons and Social Solidarity Economy and municipalist movements, with smaller assemblies held in Athens and Barcelona. Commoners from all over Europe and beyond are joining the online community all the time, and sharing their experiences, and even in the Netherlands and Finland commoners were inspired to create local commons assemblies. ECA Madrid and the collaboration with Transeuropa 2017 provides the energy to move the process further along. It is becoming clear that the ECA needs to offer an added value beyond ideational affiliation. Assembly members will have to co-create the resources and practices that will strengthen the movement. That is why the idea of “production” figures so prominently in the discourse around this Assembly. The focus of the assembly this time will be on urban commons, taking advantage of ECAs presence in Madrid and Spain to examine strategies, failed and successful, to promote the commons politically and in public policy, including citizens in this process. 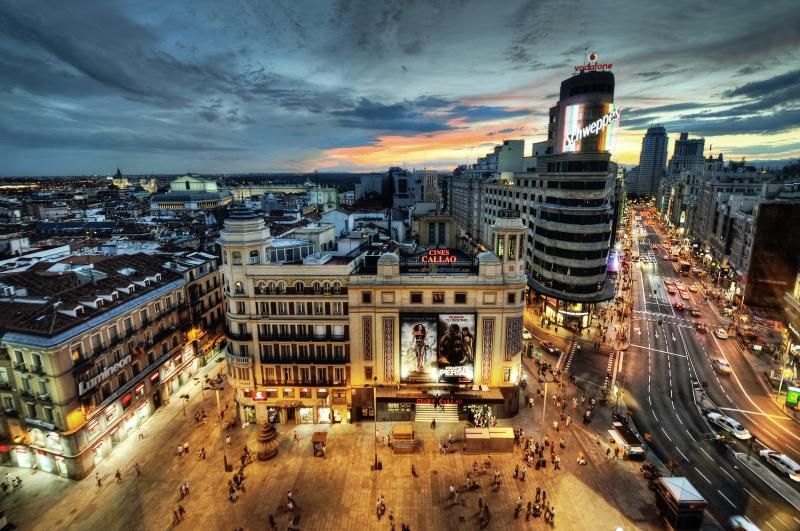 In Madrid working groups will focus on specific themes of the commons in the city, to create shareable outputs that bring these local experiences to a broader audience. This creation will nourish the toolbox of the ECA, in turn helping other efforts to support and scale commoning. This opportunity will allow initiatives to learn from and share with each other, attaining a level of technical depth and understanding that is necessary for change, deepening the European political agenda for the commons. At the same time, what is at stake goes beyond the specific themes and issues that color the commons movement. Originally published in the TransEuropa 2017 Journal.